Impossible But True celebrates the life and times, the triumphs and heroic failures of one of rock's most colourful, not to say eccentric, characters and the last true Underground legend. A songwriter, producer, music publisher, talent scout, scene-maker extraordinaire and occasional recording artist, the physically distinctive Fowley - he is 6' 4 3/4 and insect thin - is the Forrest Gump of rock'n'roll, a man who has seen it all from 50s rock'n'roll to psychedelia, through to punk and metal in over 40 years of recording activity and has the tales to support his first-hand experiences. Fowley rarely played the system (and when he did, it was usually on his own terms), shied away from working within a formal business environment, spent 40 years sleeping on other people's divans, or so it seemed - he has never settled in one place for long or owned a permanent home - doesn't bother to drive, and cares little for material possessions. Now 64, he has yet to even consider 'retirement'. He has endured because, as he puts it, I have a modern brain. Though capable of lording it with the most sophisticated of label heads, Fowley's preferred milieu was slumming it at street level with the flotsam and jetsam of rock'n'roll. In fact, at the start of his career, he would hang around Hollywood's Greyhound station and approach anyone he saw carrying a guitar case. If Fowley always seemed to be in the thick of the action in the 1960s and 70s, he also continued to display the curious detachment of an outsider, a man whose finely tuned sense of his own destiny did not easily lend itself to glib categorisation. This, perhaps, was the key: he was not a musician or a vocalist in the accepted sense (nor did he ever claim to be), nor a producer, nor a label owner, or a music publisher or a talent scout, but a combination of some, or all, of these things as and when it suited his purposes. I sometimes think I'm playing the lead role in the Kim Fowley Story, he once remarked. As a producer barely out of his teens, his early hits included Alley-Oop, Nut Rocker and Popsicles And Icicles. A regular visitor to the UK at the height of the Swinging Sixties, Fowley was the first to record Slade when they were a Midlands garage band known as the N' Betweens, co-wrote the B-side of Cat Stevens' first hit I Love My Dog and discovered and first recorded the Soft Machine. He tipped off Reprise Records in the US about Jimi Hendrix and tried to sign the Mamas & Papas when they were four penniless itinerants. Always to be found in the thick of the action, Fowley was 21 when he booked Eddie Cochran's last ever US gig in 1960 and compered John Lennon's Live Peace in Toronto a decade later. 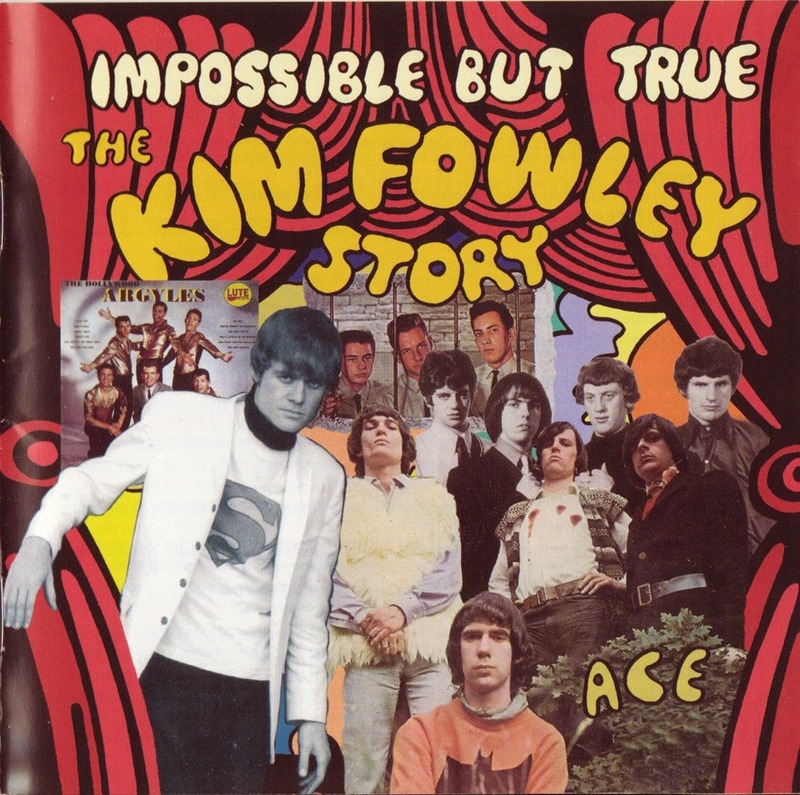 Painstakingly assembled with Kim's full co-operation, Impossible But True features 32 titles spanning 1960-69, many of which appear on CD for the first time, including gems such as The Comedown Song by Spider (actually P J Proby's hairdresser - he wasn't gay says Kim)-.-Reelin' Feelin' Squealin' by the Soft Machine, (the B-side of their first ultra-rare 45), To Die Alone, a US garage band classic by the Bush (some of whom joined the legendary Misunderstood) and Fowley solo classics such as The Trip, and Animal Man. Also making its CD debut is Pink Dominos by the Crescents, a Hot 100 hit from 1963. Fowley describes this as the last of the surf instrumental hits. It was recorded late at night in a shoe store out in Oxnard, California and features an Asian female guitar teacher and some of her teenage pupils! Featuring classic cover art by Phil Smee, extensive annotation by compiler Rob Finnis (with input from Mr. Fowley himself) and a stunning selection of illustrations, all contained in the accompanying action-packed 36-page mega booklet, Impossible But True is the soundtrack to those first ten years. It's 'Mondo' magic! 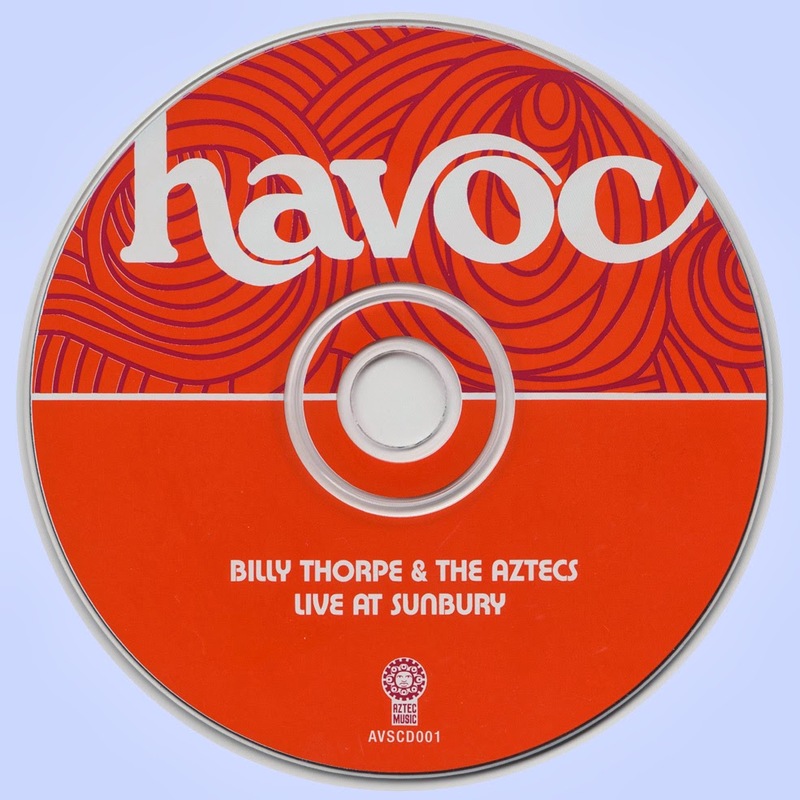 Live At Sunbury contains an in-concert performance by Billy Thorpe and the Aztecs. The set is part of the Aztec label's reissue series that puts Australian rock albums from the 1970s back into circulation. 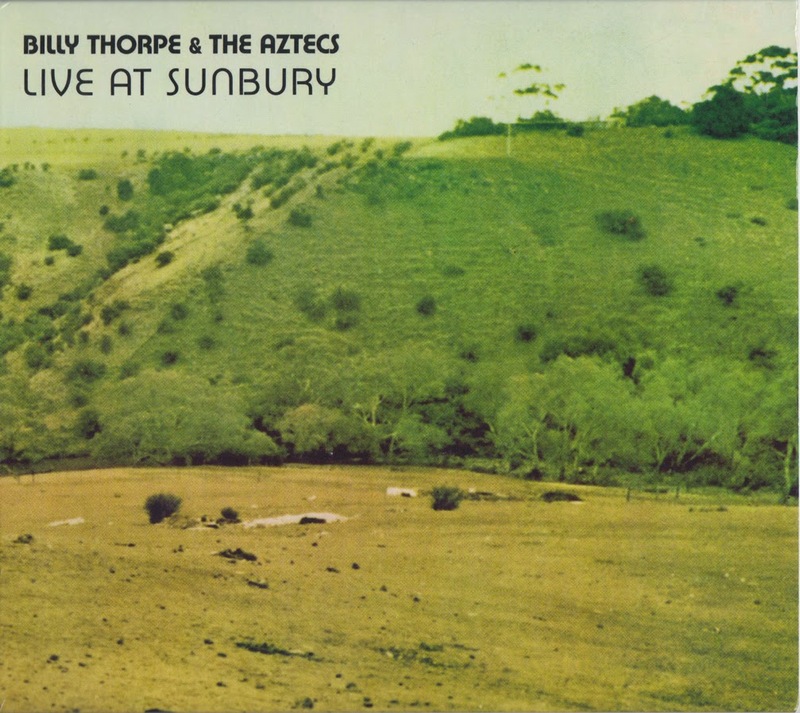 Much as 1972's inaugural Sunbury Festival came to be regarded as one of the definitive moments in Australian rock & roll (often referred to as Australia's Woodstock), so too did Billy Thorpe & the Aztecs' double-vinyl documentation of their blistering headline set arguably prove to be the crowning achievement of their career. A veteran of Australia's first wave of `60s pop and beat groups, the English-born Thorpe had already scored numerous hits while leading different variations of his Aztecs, but it was in front of Sunbury's 35,000-strong congregation that his reinvention as scruffy, electrified, blues-rock shaman was crystallized, leaving a younger generation of listeners with mouths agape, eyes bulging, and ears bleeding.